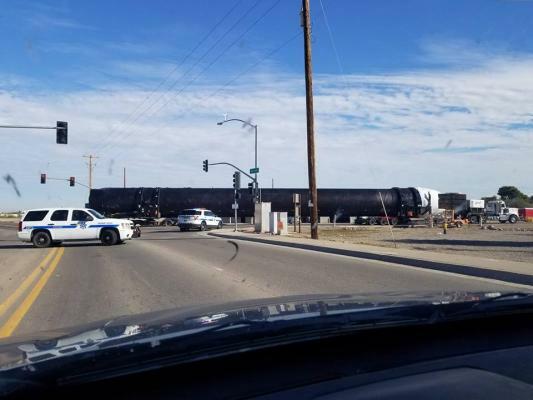 Falcon Heavy side booster seen on the road in Maricopa, Arizona. IMO this is likely 1055, unless 1055 left a while ago without us noticing, in which case this must be 1056. 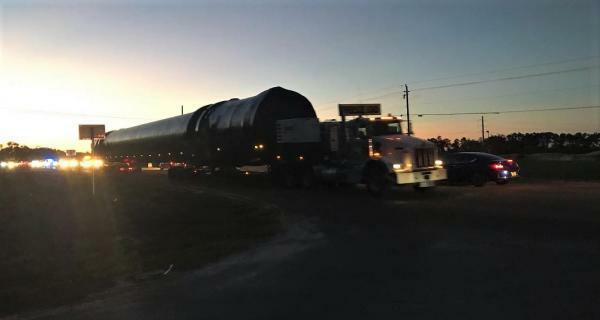 The Falcon Heavy side booster was seen earlier today in Coleman, Texas going to McGregor. It will probably arrive there tomorrow. I assume that would be the GPS-III launch vehicle? 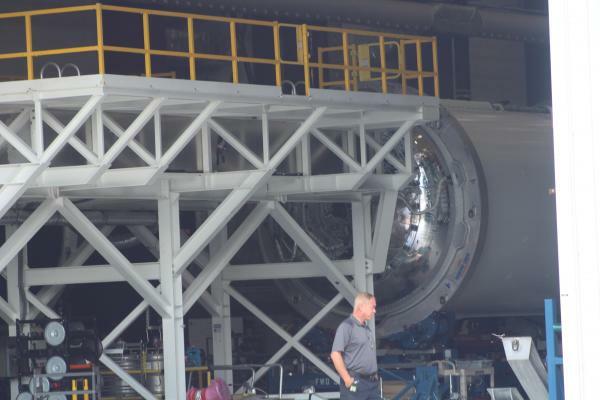 I don't think it looks sooty, and the next two boosters being prepared (for GPS-III and DM-1) should both be new. To me it looks sooty too but it may be just an illusion. 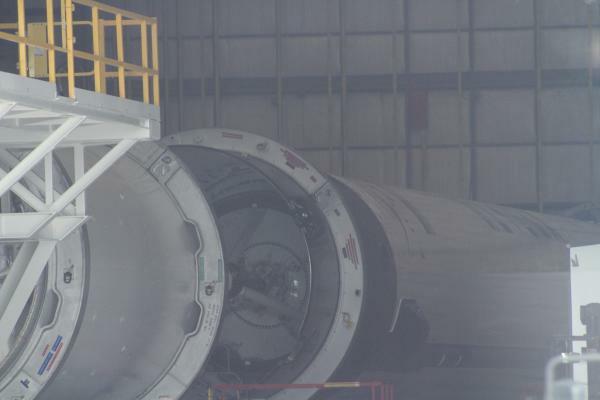 It doesn't have grid fins and we know a booster arrived recently at the Cape and my best bet was B1054. I think this may well be B1054 with no grid fins (and most likely with no legs) as expected since it is an expendable flight. Agreed, it does not look sooty at all to me. What some are seeing as sooty patterns is reflections of the interior of the HIF - the pattern is too regular. And the interstage looks pretty clean as well..
What is the hardware in the fourth picture? 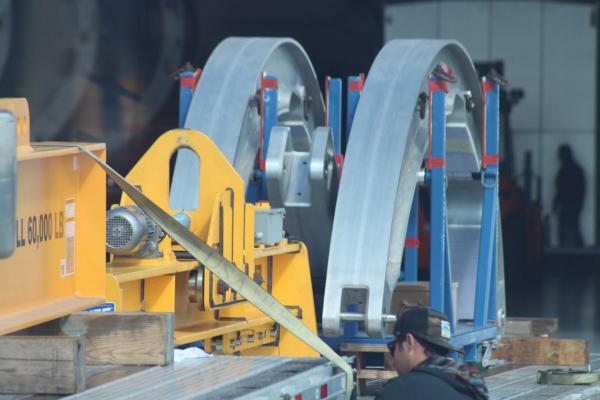 Looks like a payload adaptor to me. 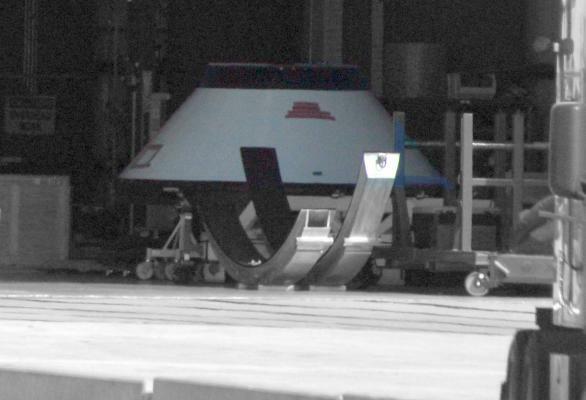 99% certain that is the GPS booster. No grid fins, soot is an illusion from the windows on the bus as the soot patterns do not match what we usually see. Not sure why it's at LC-39A though. 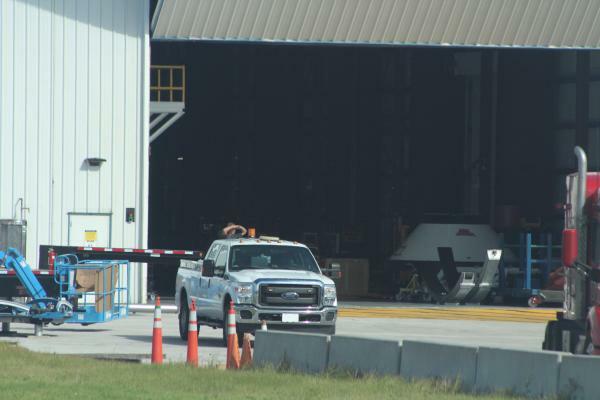 It is at LC-39A because there is no space for it at SLC-40 since there is another rocket being prepared there. 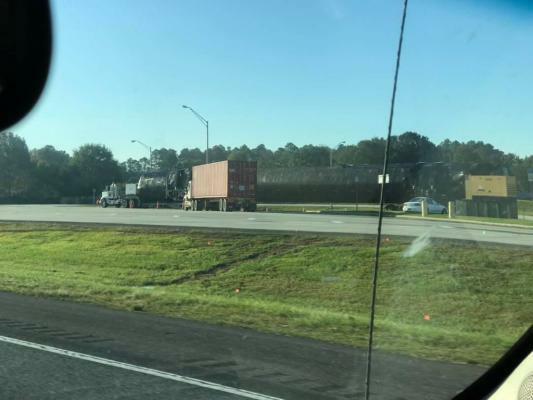 This booster will be moved once CRS-16 launches. 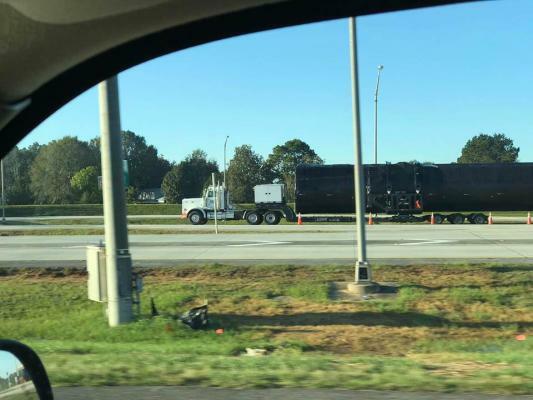 Another Falcon Heavy side booster has been spotted in Arizona going east to McGregor. This should be B1056. Not sure what it was......but it looked like a booster. It just rolled through Maricopa AZ.